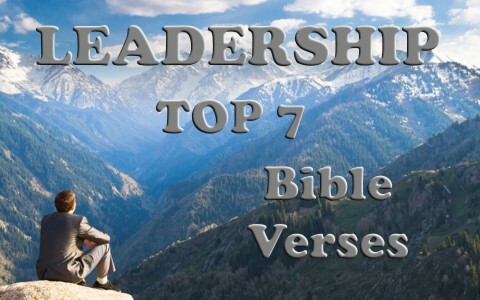 Here are seven of the top Bible verses about leadership. One thing you might notice is that a few of these Bible verses about leadership will come from the Apostle Paul to Timothy because Paul was mentoring Timothy, and that’s what church leaders are supposed to do. Every Timothy in the church needs a mentor like Paul did Timothy, but every Paul needs to be mentoring someone too. That’s how leaders are made. I too have a mentor, even though I’m a senior pastor. My “Paul” is a retired pastor that helps me see my blind spots and corrects me when and where I need it. Good leaders must not be shy about shaping, molding, and correcting those who are being mentored so that they can be the leaders of tomorrow after we’re all gone. I can’t remember all of the times that I’ve read about or heard about a church leader falling into sexual immorality. I realize that this verse is not specifically about this, but that is one of the greatest dangers of a church leader; falling into sexual immorality, but there’s also the risk that they could bring shame to the cause of Christ, to the church, and certainly to themselves, by not working hard in the Word, so Paul is warning young Timothy to work hard at studying the word so that he can be discerning the Word of God properly to be able to teach it correctly. It is so that he might not be ashamed at the appearance of Christ when He will come to judge the church for those things done in the body (2nd Cor 5:10), or those things not done, called sins of omission. Jesus is the Good Shepherd and Head of the Church, and He watches over His own sheep, but those given charge in the local church are under-shepherds who first must be a servant of all. No one will follow someone who isn’t willing to serve. Jesus is telling us that whoever is going to be a great church leader is one who must be willing to be a great servant. You can’t lead unless you first serve. This is important because we cannot expect to be treated kindly if we’re not treating others in the same way. We should do to others what we would want them to do to us. On this hinge all the Law and all the Prophets. This is not a normal thing in this world because we often retaliate when someone hurts us, but if we desire to live godly lives, we will not respond in like manner, but we’ll try to do what God has done; serve one another, even as Christ came to serve us and give His life as a ransom for many. When God leads someone into a position of church leadership, He wants them to not have any fear, because God is with them. He will not forsake those who He has placed in positions of authority, and church leaders had better not forsake Him. He is there to strengthen them, help them, and uphold them, so there is no real reason for the church leader to fear. Why was Paul so concerned about the overseers (pastors, elders) taking care of God’s church? It was because he knew that “after my departure fierce wolves will come in among you, not sparing the flock; and from among your own selves will arise men speaking twisted things, to draw away the disciples after them” (Acts 20:29-30), and so he tells them, “be alert, remembering that for three years I did not cease night or day to admonish every one with tears” (Acts 20:31). Church leaders today must use the same caution that Paul was writing about in regards to what is being preached and taught at the church. They will be held accountable before God, and that should make church leaders be more diligent. I could have included 1st Timothy 4:12 which says, “Let no one despise you for your youth, but set the believers an example in speech, in conduct, in love, in faith, in purity,” because sometimes we see young leaders coming up in the church and older members take exception to them, but God has placed in the body (the church) as it has pleased Him and not pleased us (1st Cor 12:18). God doesn’t consult with us to see who is or who isn’t going to be in church leadership. That’s His call. He chooses leaders, because Jesus is the Head of the Church. We are not! Phil. 2:3-8 is an excellent passage. 3Do nothing out of selfish ambition or vain conceit. Rather, in humility value others above yourselves, 4 not looking to your own interests but each of you to the interests of the others.